Yesterday Oudraad Saal in the city of Tshwane which used to be a chamber for Paul Kruger and his councilors was ironically the same venue where the Pan Africanist Youth Congress (PAYCO) held a rally to commemorate June 16 1976 Soweto Uprising. 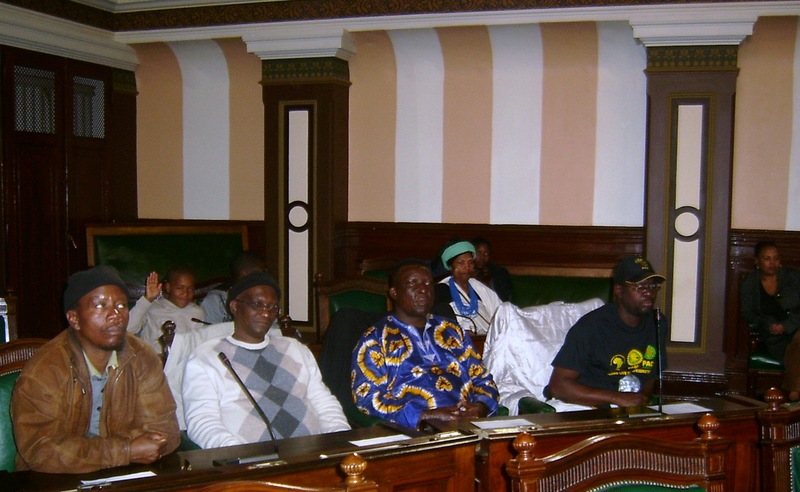 The commemoration was well attended by youth, women, stalwarts and veterans of the Pan Africanist Congress (PAC). In between revolutionary songs representatives of workers, students and veterans took to the stage and offered inspiring messages of support. Comrades listen to proceedings at the rally. Keynote speaker PAYCO President, Hulisani Mmbara called on the youth “to build a movement for socialist change” and “declare war on neo-colonialism”. He said the youth of today have a task to usher “a socialist democracy”. On the National Youth Development Agency (NYDA) Mmbara said “we do not believe that the NYDA which is being launched today will deliver on the developmental needs of young people”. He criticized the fact that the NYDA does not even report to the already overloaded ministry tasked with the affairs of women, youth, children and people with disability but to the presidency. Mmbara reiterated PAYCO’s call for “a single dedicated executive ministry of youth affairs”. Mmbara also touched on the leadership crisis in the PAC and accused party President Letlapa Mphahlele of conforming to the status quo instead of challenging it and dividing the PAC. Mmbara literally accused Mphahlele of selling-out the party to “imperialists”. Mark Shinners addressing the rally. Another key speaker was Mark Shinners, accused No.3 at the Bethal Treason Trial. Shinners was among 17 other PAC leaders and activists who were tried and convicted for planning and instigating the national uprising in 1976. Shinners said that the prosecutorial objective of the Bethal Trial was “to prove”, and rightly so, “that the PAC lead by Zeph Mothopeng was behind the uprising”. “We were incredibly brutalized by the regime but we stood our ground” said Shinners. He emphasized that “no other political party suffered like the PAC did for the uprising”. Shinners went on to give a disturbing account of the conditions in which detainees were kept and brute deadly tortures they were subjected to. Emphasizing the severity of the torture Shinners said “you only had two choices; to tell them what they want to hear or die”. Speaking on behalf of the Pan Africanist Labour Forum (PALF), Mopholosi Morokong, who is the Deputy Chairperson of the worker body, said “Parliamentary politics will not bring socialism”. He urged the audience to “understand the nature of the struggle”, which he said was on-going because “the masses are not free”. He said the struggle of the poor African working class masses is against capitalism. Adding that the system will never solve the problems of the workers but rather it will further economic inequalities, making their lives more miserable each day. 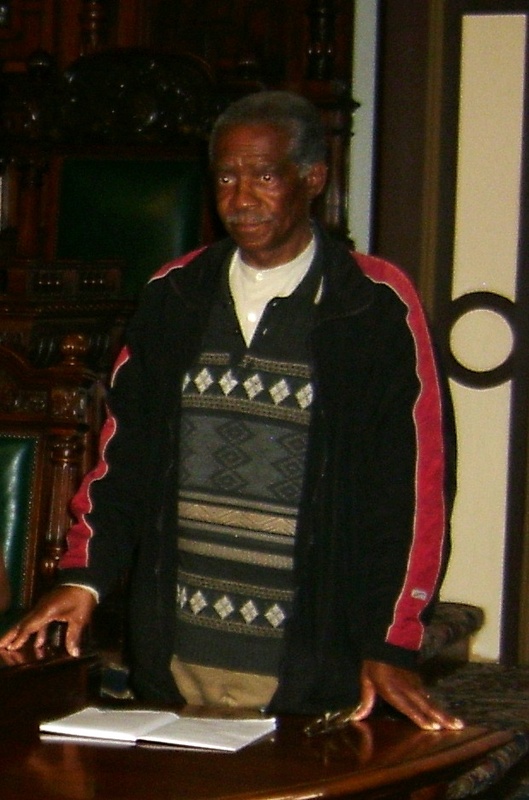 Ex prominent PAC leader Ike Mafole, represented the Azanian People’s Liberation Army Military Veterans Association (APLAMVA). 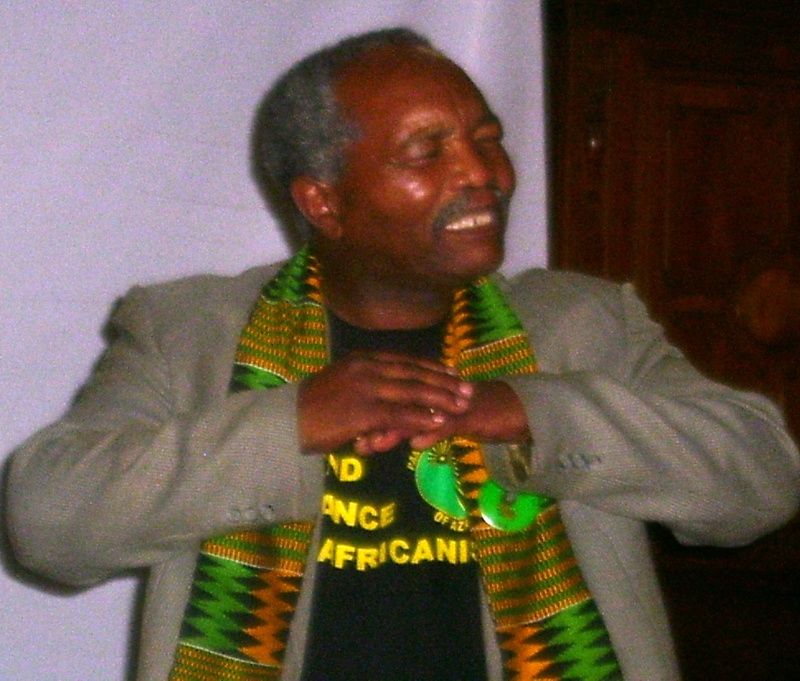 Ike Mafole representing the Azanian People’s Liberation Army Military Veterans Association (APLAMVA). “The current system carried over the inequalities of the previous order into post settler colonial South Africa ….the so called new South Africa” said Mafole. He described this phenomenon as “neo colonialism”. He said this was made possible through collaboration of the African elite, represented by the ruling African National Congress, with the local settler colonial and international forces of capitalism. “We have been sold out” he said of the African masses. Mafole urged the youth “to turn PAC into a mass party through mass based socialist programmes of action”.